Attorneys Hayden Briggle and Parker Polan are trial lawyers at the Austin law office of Briggle & Polan, PLLC. Our founders established their law office in order to provide high-quality legal representation to injured accident victims in Travis County, Texas, and the surrounding areas. 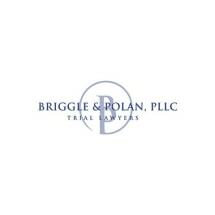 If you need help, you can count on receiving professional and dedicated service from the lawyers at Briggle & Polan, PLLC. Our firm's lawyers are Austin natives who both earned their Juris Doctors from The University of Texas School of Law. Hayden Briggle began his legal career at a prestigious law firm in Austin, Texas. During his last year with the firm, he also served the City of Austin as a prosecutor. After graduating law school, Parker Polan also joined a respected litigation firm. He then left that firm to begin his private practice. Hayden soon joined Parker, resulting in the formation of Briggle & Polan, PLLC. If you, a family member or a friend have suffered injuries in an accident through no fault of your own, our personal injury lawyers have the experience that you need on your side. To find out how our law firm can help you, contact us today to schedule a free initial consultation.